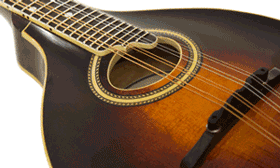 Do you play a member of the Mandolin family of instruments, guitar or upright bass? 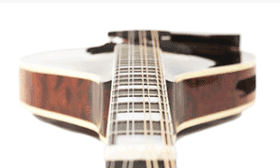 Are you interested in playing as part of a Mandolin Orchestra? Ask us questions on our MOOKC Facebok Page. Membership in the Mandolin Orchestra of Kansas City is $95 per year. 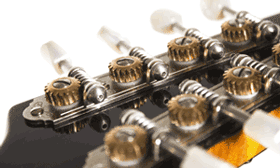 This helps us cover essential costs, such as rehearsal space rental and music. Please join us. Tuesday Evenings 7pm-9pm. The Mandolin Orchestra of Kansas City, MOOKC, was formed to provide cultural enrichment, create public interest and encourage participation in the greater Kansas City community by presenting musical performances with an emphasis on the Mandolin family of instruments and their history. We are a not-for profit corporation formed under the laws of Missouri. Note: We originally published two concerts for the Spring 2019 season, one in March and the other in May. Over half of our January and February rehearsals had to be cancelled due to ice and/or snow and we chose to have a single concert in May. Considering playing with MOOKC? Come check out our next rehearsal. Tuesday January 15th from 7pm to 9pm. Our next concert will be Saturday, December 1st at 7pm at the Keystone Church in Waldo. Upcoming rehearsal dates for October are the 16th and 23rd. Our conductor is out of town Tuesday October 30th, but there will be an informal rehearsal at the home of one of our members. If you do not already have details in your email, please contact us via our facebook page to get the address. Rehearsals continue Tuesday November 6th. Our music director Phil DeWalt has put together a selection of music that is available on DropBox. Not all of the pieces will be played at the concert. In addition to the sheet music many of the selections have an audio recording to aid in your practice! Starting with our rehearsal on Tuesday, September 25th our rehearsal location is moving to the Center for Spiritual Living, 1014 W 39th St, Kansas City, MO 64111. Just a few blocks East of where we have been rehearsing. This location has a dedicated parking lot and our rehearsal location is on the first floor. Come join the Mandolin Orchestra of Kansas City! We start our fall season on Tuesday September 18th. We meet from 7pm to 9pm. Please come join us at the Keystone United Methodist Church in Waldo for our first concert! Sunday May 6th at 3pm. The predictions for KCMO tomorrow currently include snow pretty much all day long. Because of that we are going to postpone our first rehearsal until Tuesday February 13th. Please tell any friends who you know are interested in joining.